In the heart of Innerleithen lies this gem of printing history. Robert Smail’s Printing Works is an operational letterpress printers and an important part of Scotland’s industrial heritage. 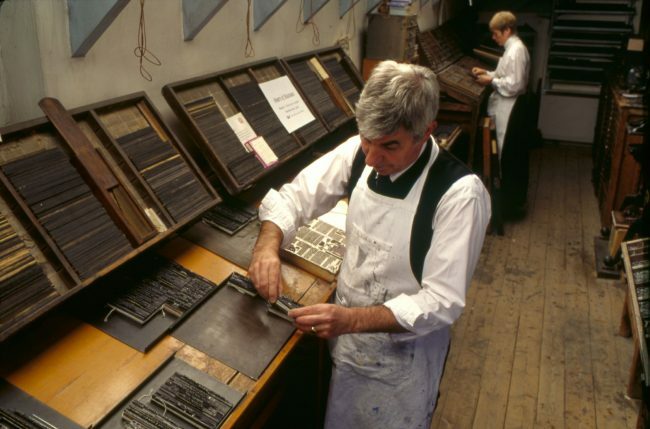 Between 1866 and 1986, newspapers, business cards, stationery for local traders and letterheads all passed through the inky presses of this thriving business. The National Trust for Scotland purchased the printing works in 1986 and have kept it as a genuine working printers. The printing presses, some of which date back to the Victorian era, can be seen in action; shelves of type line the walls, revealing the changing fashions for typefaces; and 52 giant guardbooks showcase almost every item printed by the family firm.